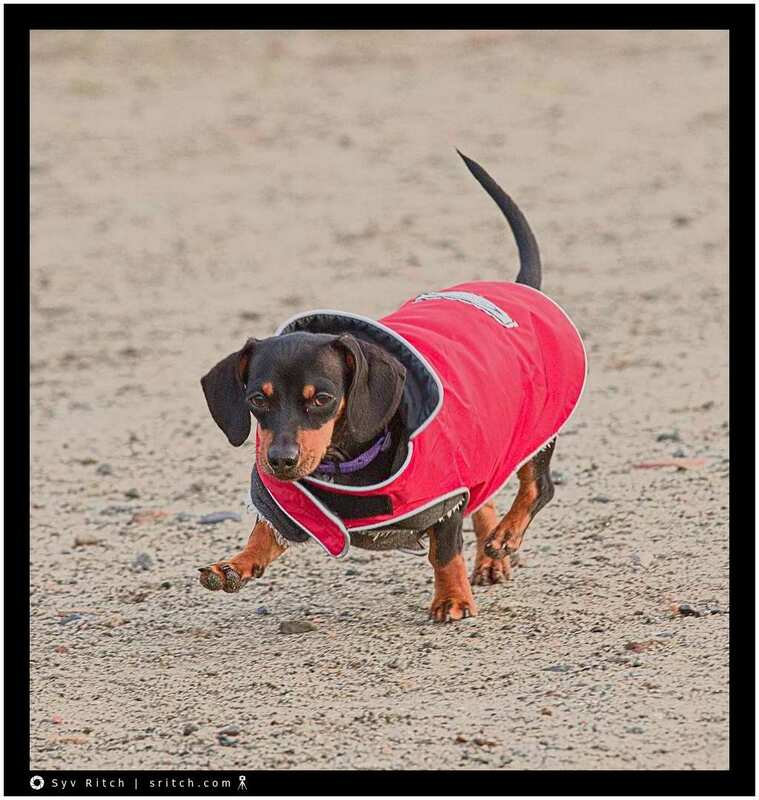 This ‘sausage’s name’, aka a smooth coat Daschund, is Ruby. She doesn’t like her coat. She was trying to shake it off. I’m not sure why she had it on, her owner said that it was for keeping her warm but it wasn’t cold. It was around 6°C or 8°C. It wasn’t windy….